OUR NEW LOCATION IS 928 N. MAIN PRINCETON. With our own business we can now offer our customers the best deal we have ever been able to offer. WE HOPE TO SEE ALL OF OUR GREAT CUSTOMERS. AS ALWAYS, THANKS FOR CHOOSING US. Jay and Eric have over 35 years of experience helping customers in Princeton and the surrounding towns. 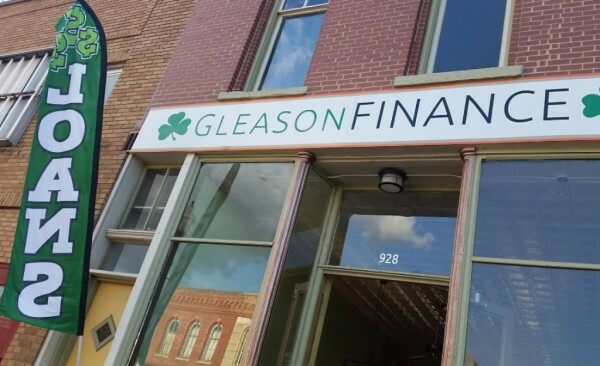 Gleason Finance is locally owned and backed enabling us to now serve our customers better than ever before. Come see us Today. FOR YOUR IMPROVEMENTS OR REPAIRS AROUND THE HOME, LET US HELP. We will do our best to put you in a new auto or make your current one better. Vacations, Medical, Weddings, Graduations, Moving.... For all your family needs, we can help.